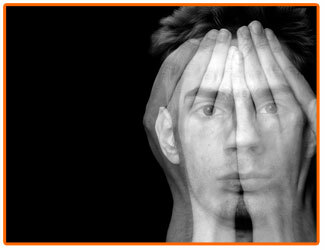 Withdrawing from opiates causes a number of temporary physical and mental side effects. 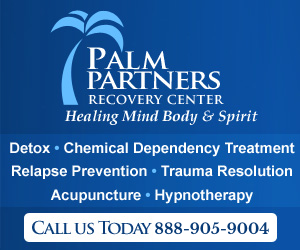 For those who are addicted to opiates such as heroin, methadone, Oxycontin, Oxycodone or even opium, the painful withdrawal symptoms that are felt during detox are often enough to keep them coming back to the drug again and again. From tremors and shakes, to fever, cold sweats and bone pain, the symptoms of opiate withdrawal can be downright painful and difficult to cope with. Fortunately, these symptoms will not last forever and there are treatment methods available to assist patients in overcoming opiate addiction and withdrawal. The symptoms of opiate withdrawal begin with mild achiness and flu-like symptoms but can quickly progress to feeling weak, tired, anxious, and having moderate to severe bone or muscle pain. For the recovering addict, sometimes the symptoms of opiate withdrawal are not only difficult to deal with, they could be deadly. From the mild to moderate physical symptoms that are commonly felt during opiate withdrawal to the psychological agitation and irritability that occurs, this difficult process won’t last forever and once complete will lead way to a new, opiate free life. There is no set timeline for opiate withdrawal to occur and the length of time that a patient actually feels the negative effects of opiate withdrawal will differ from one patient to the next. Most people will begin to feel the negative effects of opiate withdrawal on a mild to moderate scale during the first 48 hours after the last dose of an opiate based drug was taken. These symptoms can persist for a period of up to a month or more depending largely on the individual health of the recovering addict and various other factors. If you seek help at an opiate rehab center there is an endless array of remedies that may be provided to assist you in a comfortable and minimally painful opiate withdrawal. Some of the remedies that are commonly used during opiate rehab include medications, rest, holistic treatments such as acupuncture or massage and nutritional solutions. Together, a combination of remedies may help you to effectively overcome the withdrawal symptoms and to feel better as the days go on. Probably the easiest way to prevent withdrawal from opiates is to not use opiates at all. Unfortunately, if you’re already addicted to opiates then the chances of preventing withdrawal are rather slim. Opiate withdrawal can be regulated or relatively lessened by tapering the drug off slowly rather than abruptly removing it from the equation but this means that the entire addiction treatment process will take longer than was originally planned. Other methods of preventing opiate withdrawal include using medication maintenance drugs such as methadone, Suboxone or buprenorphine to curb cravings and alleviate some of the symptoms of withdrawal. Various methods of opiate withdrawal treatment exist and will depend widely on the health of the patient, the length of time they abused the opiates, the severity of their addiction and several other factors. Opiate withdrawal treatment may take place in a hospital-like setting or it could take place in an outpatient treatment center depending on the severity of the withdrawal symptoms that are being treated as well as any other existing needs of the patient. The length of time that withdrawal symptoms persist and continue to cause problems for the patient is called the opiate withdrawal duration. For most recovering addicts who abruptly stop using opiates and do not use a medication management or maintenance program such as methadone or Suboxone or taper the drug off, the duration of opiate withdrawal will be somewhere between 5 and 14 days. For those who suffer from severe opiate addictions this length of time can be increased by weeks or even months.